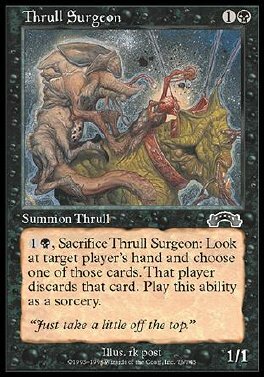 1B, Sacrifice Thrull Surgeon: Look at target player's hand and choose a card from it. That player discards that card. Play this ability only any time you could play a sorcery.